Leadership Siouxland is the community leadership development program for the tri-state area of Iowa, Nebraska and South Dakota. Its purpose is to train community-minded individuals from business, government, education and other sectors for leadership opportunities. Leadership Siouxland’s program helps students diversify their networks, gain recognition as emerging leaders, stay connected in the community, and take part in future growth of the community. By motivating participants to a higher level of community awareness and involvement, Leadership Siouxland helps ensure that the Siouxland area has strong leadership for the future. Learn how to become a catalyst for Siouxland’s growth… for Siouxland’s development… for Siouxland’s future! Q. What is Leadership Siouxland? 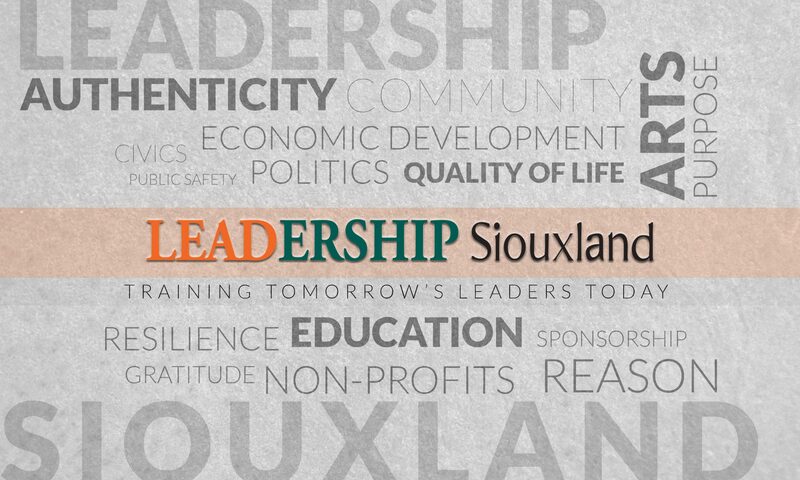 If selected to participate in Leadership Siouxland, you and/or your company or sponsoring agency/organization, agree to pay the $675 nonrefundable tuition. The fee is due upon receipt of your letter of acceptance. A limited number of scholarships are available to class participants with demonstrated need. For additional information concerning scholarships, contact Leadership Siouxland by email (info@leadershipsiouxland.org) or call (712) 898-8594.